As most Floridians know, hurricane season runs through most of the summer and into fall. If you have a generator, you may not have thought about the handy appliance since the last hurricane came through, or you may have needed to use it recently and it was not performing as it should. In these cases, a repair is generally needed to your generator to allow it to function once again. Reliable Power Systems has been in the generator business since 2002 and are the experts for all of your power needs in the Southeastern Florida area. To ensure your home generator is running efficiently and effectively when you need it most, call Reliable Power Systems at 561-362-7012 for troubleshooting and repair. 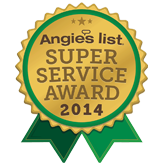 Reliable Power Systems recommends maintenance is performed on your system at least twice a year. These maintenance appointments will catch any issues before they become problems that could cause the complete breakdown of your system. In the event that you haven’t been performing regular maintenance, you will likely not know there is a problem until you are in need of the generator. We offer generator repair to systems even if they were not installed by us originally. Call us at 561-362-7012 with any questions, or to schedule service in Broward County, Palm Beach County, or the surrounding area. Reliable Power Systems puts its customers’ satisfaction at the top of the priority list. We will show up typically within 24 hours of your call and will be on time. All of our technicians undergo vigorous screening tests including a drug test before they are hired by Reliable Power Systems. We will treat your home and property and respect and will make sure that any questions you have about the process are answered to your satisfaction. We will handle any of the paperwork, permits, and inspections needed to make sure your system is up to code. Call Reliable Power Systems at 561-362-7012 today for generator repair services in the Broward County and Palm Beach County area!